As well as being the obvious choice when doing the weekly grocery shop, supermarkets now offer customers so much more. Electricals, clothing, homeware, financial services... the list goes on and it is growing by the day. Looking for the best price on pizza, chicken or coffee? 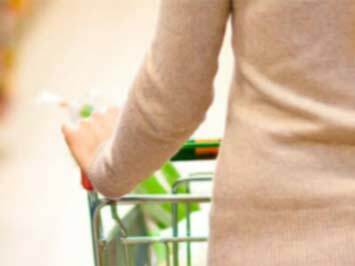 Want to find the cheapest supermarket closest to you? On Tiendeo, you can find all the latest catalogues, brochures and promotional leaflets from your favourite supermarkets. Browse daily deals, weekly specials and monthly offers like 2 for 1, BOGOF deals and discount vouchers. And we don't just cover the large chains like Tesco, Asda, Sainsburys, Morrisons and Waitrose, you can also view the latest deals and store details for regional or local stores, such as the Co-op, Spar, Londis and Costcutter. Serious bargain hunters can view the latest leaflets from discount supermarkets such as Aldi and Lidl easily, online and for free. And it's not just all leaflets and deals, you can also find information on supermarkets in your area, such as opening hours, new store openings, addresses and contact details. Let Tiendeo help you keep up with all the flyers and discount leaflets from your favourite supermarkets and grocers, and make sure you don't miss out on the best deals in your area. Or, alternatively, search for your favourite products or brands, find the best price and then plan your shopping by the best supermarket offers in your area.